I’ve been asked many times how I managed to look pulled together after surgery and as I progressively lost the weight. Admittedly, I lived in sweats those first few days out of the hospital, but as an attorney I did not have the luxury of dressing down once I was back to work. Dressing the part was a must, but so was not breaking the bank. (Since November I have went from a size 18 to a size 10/12, and could not afford to replace my entire wardrobe at every size!) Along the way, I have developed savvy tricks and tricks to use what I already have and add only key pieces to my wardrobe that were reasonably priced – knowing that they would probably be too big in a few months anyway – and I’d love to share! 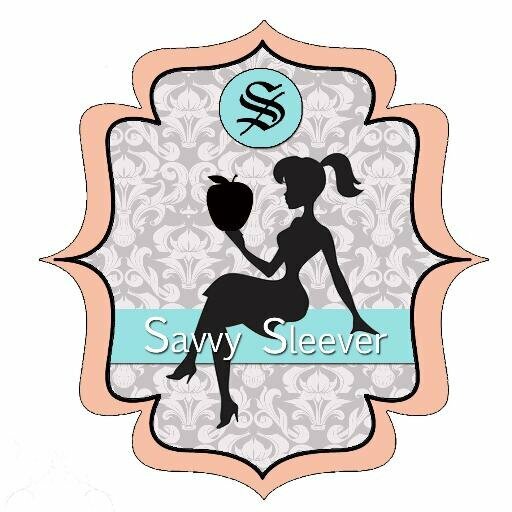 SavvySleever is more than just about food and fitness – although I do love to write about Crossfit and healthy snacks! It is meant to be a holistic lifestyle blog that hopefully everyone can take something from. While my body more rapidly changed due to the surgery, and therefore the clothing issue was more pronounced, anyone who is losing weight can relate to the equally exciting but also slightly annoying experience of nothing fitting, this time because it is too big. Blazers are one of the easiest ways to pull together an outfit. Whether it is for the office, brunch, or even a night out on the town, blazers have the ability to look polished and chic without being too stuffy. I appreciate that I can wear the same black blazer in court – like I did this morning – over a graphic tee and jeans to run errands, or even paired with a leather skirt for date night with B. While I understand that a blazer might seem like an unorthodox choice for a “Savvy Shopping Series” as they often are an “investment” piece, hear me out. An ill-fitting blazer is one of the worst things you can wear because it makes you look frumpy, so it is one of the first items I had to replace in my closet. In my line of work, it’s a necessary expense. Moreover, since it pairs so well with almost every outfit, the cost-per-wear ratio is much better than some of the other items you purchase. Also, a blazer is the perfect item to throw over dress or outfit that may be too big on you but you aren’t ready to give up on just yet. For example, the blouse I’m wearing today is probably two sizes too big, but with the right fitting blazer you’d never know. Finally, like with the cascading cardi, I have been able to find some really great options that don’t break the bank. My number one tip for finding the affordable blazer is to take advantage of the sales, like some of the links below! That way you know you are getting a good product, just at a price that won’t make you cringe. Hope you enjoy! Send in pictures of how you are rocking your blazer – I’d love to see them! This entry was posted in Fun and tagged Fashion.